This TV Stand For 32" Flat Panel TV Displays Remains Stable in Any Crowd! 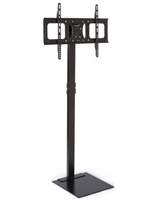 Our Warehouse Stocks These Flat Panel Mounts and More Online! This TV Stand Keeps All Eyes on the Displayed Monitor! 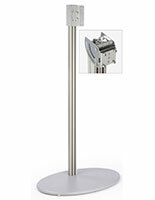 Monitor stand has large rounded MDF base for a stable display. 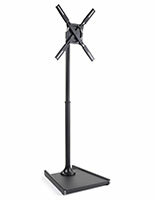 Holds a 32" to 60" flat screen TV, weighing up to 70 lbs. 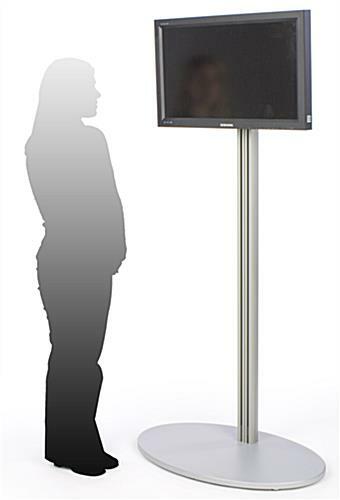 A TV stand, also known as a flat screen stand and a plasma stand, can be used by retail stores, offices, malls, and convention centers to easily display advertisements on a plasma or LCD screen. This TV stand can hold a 32" to 60" plasma or LCD television that weighs up to 70 lbs. The TV stand is VESA compatible for a 200 x 200 bracket, with the VESA bracket being designed alongside manufacturers to fit most makes of televisions. 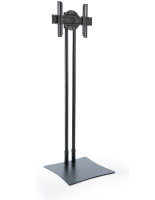 This LCD stand, TV stand includes screws and washers for mounting most plasma and LCD televisions onto the bracket, though some may require certain screws you can purchase at any local hardware store. 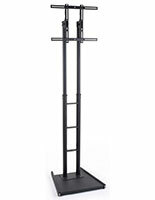 A flat screen stand, TV stand has a large round base that stabilizes your plasma or LCD television, even in heavily trafficked areas. 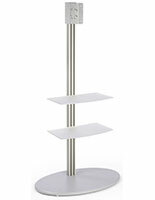 The plasma stand, TV stand includes (4) plastic strips that you can slide into the post to hide wires and keep them neatly out of view. 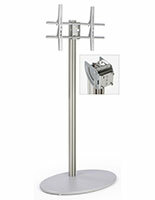 A TV stand has an optional tilting mount available for angling your television to provide the best view. 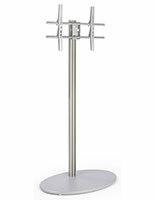 The television stand has a satin silver finish to easily blend in with any environment. We ship this mount for LCD televisions unassembled to keep down shipping costs and you can easily put the display together in a few minutes. 37.4" x 73.0" x 24.0"